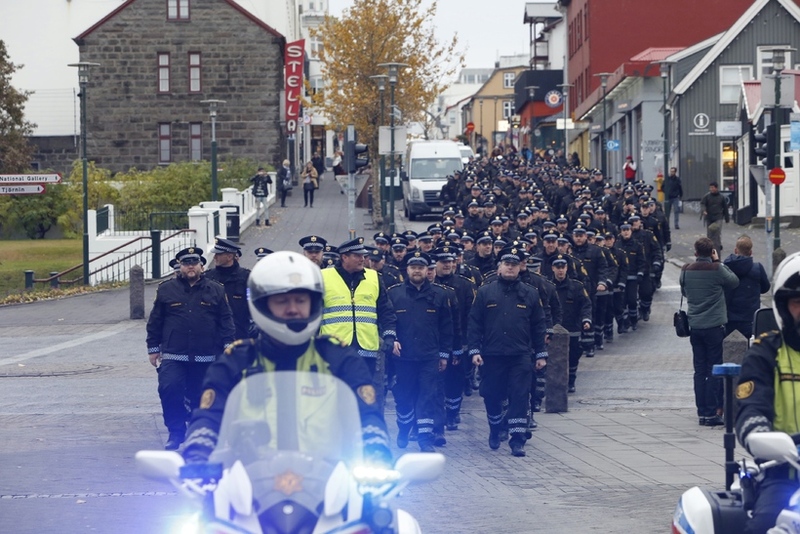 Half of Iceland’s police force staged a protest march this morning to Reykjavik’s Parliament Square to demand better pay. 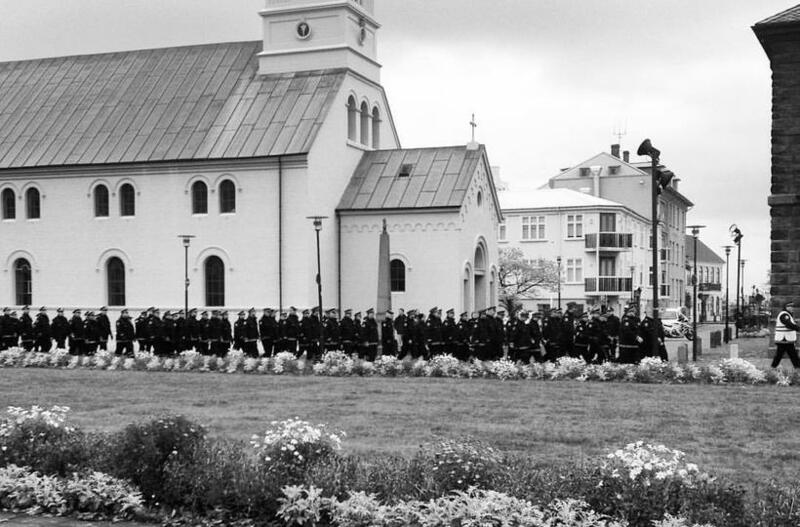 Some 300 police officers made the walk to Reykjavik’s famous Parliament Square (‘Austurvöllur’) – a traditional spot for Icelandic demos – where they joined colleagues from the Icelandic Union of Public Servants (SFR) and the Icelandic Union of Nursing Assistants (SLFI), who came out on strike today. Under Icelandic law, police officers do not have the right to strike. The group of officers instead marched in line towards Parliament to take part in a demonstration of solidarity with the strikers.